“Fiction” is a story that didn’t happen, but must be written as though it could have. This is especially true for historical fiction, and sometimes insuring the accuracy of one scene or even one sentence can take more time than it does to write the rest of the chapter in which that scene or sentence appears. All of which leads me to Victory Seeds of Molalla, Oregon and Mike Dunton. As with so much of our culture, World War II even had an effect on the breeding of tomatoes. The “Victory Gardening” movement was equally important to the war effort. Home food production freed up agriculture for canning which fed the allied forces. Since canned foods were rationed items, nearly 20 million Americans gardened, producing up to 40% of all that was consumed during the war. Wood’s ‘Brimmer’ tomato, for example, was a popular variety as a fresh market / slicing variety. Heretofore, I have always bought my 4-pack of tomatoes from a local store, and then stuck them in the garden without any thought, but next year, I intend to get seeds from Mike and, come summer, dine on the fresh taste of history. 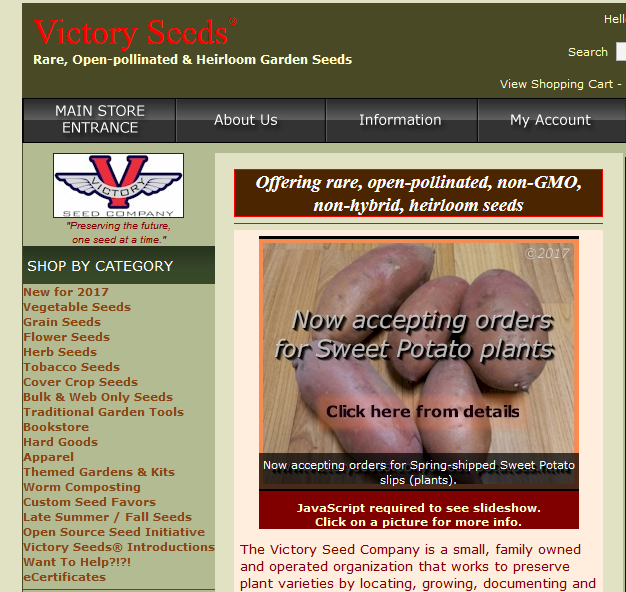 I know many of you are gardeners and I strongly encourage you to visit www.victoryseeds.com Peruse this on-line catalog: You’ll enjoy it and you’ll learn something and you can contact me next spring so that those of us with small gardens can trade some seeds! Thanks to Al Smith and Buffy Cooper who posted the first two reviews (and very nice ones!) for The Secret of Their Midnight Tears. Keep ‘em coming folks. This entry was posted in Uncategorized and tagged agriculture during WWII, heirloom tomatoes, Mallala Oregon, T. W. Woods & Sons, victory gardens, Victory Seeds. Bookmark the permalink. 3 Responses to Victory Seeds to the Rescue! Austin, thanks for another in a long line of interesting, thought provoking even, offerings. I am reminded of the “victory garden” of my pre-school youth. I can distinctly recall wandering among the rows, corn and beans and melons I specifically recall. I am sure there were more but my 3-4 year old brainiac has been wiped of this detail. I was a big helper with the weeding, and eating raw WITHOUT washing!! No chemicals and a little dirt never hurt anybody. I hope you are able to salvage seeds for replanting. So much of our agriculture these days is non-reproducible, requiring purchase of new seeds every year. Thank you very much, Monsanto and DuPont.